Do you feel like you’re in a never-ending battle with your kids? They want to go out and play all day and you want them to do something educational. Well, you can both get your way at the Science Museum of Western Virginia. Your kids will love all the fun displays, and you’ll enjoy the fact that they’re learning. That’s a win for you and the kiddos. The museum is open from 10 a.m. to 5 p.m. on Tuesdays through Saturdays, and from 1 p.m. to 5 p.m. on Sundays. Admission is $15 for adults, $13.50 for kids aged 6–17, and $7.50 for kids aged 3–5. Kids two and younger get in for free. There’s so much to see and do at the museum, so it’s important to plan your visit. Check out the must-see exhibits. The last couple of years have seen some major changes at the Science Museum of Western Virginia. New exhibits have popped up, and they are much more interactive than the old ones. Toy Joy is one of the new exhibits, and it’s a huge hit. Kids love assembling the huge blocks and rolling cars down the ramps. They can even play some arcade games from back in the day at this exhibit. The Mirrorcraft exhibit is also a hit. Using a Kinect, this exhibit creates a Minecraft-like character based on kids’ images. Your kids love video games. Now there is a chance to basically be inside of one. Kids also get a kick out of the Maker Lab. Your kids get access to craft supplies and recycled materials to make their own creations. They can really let their creativity fly in this exhibit. The Hidden Garden has long been a favorite exhibit at the Science Museum of Western Virginia, but it underwent a major renovation last year, and now, it’s better than ever. It used to be a tropical garden, but with the renovation, it’s now a Virginia pollinator garden. That means your kids will see butterflies that are native to Virginia. When the kids visit The Hidden Garden, they’ll see butterflies in various stages of development, and they’ll learn about how the local ecosystem supports these butterflies. 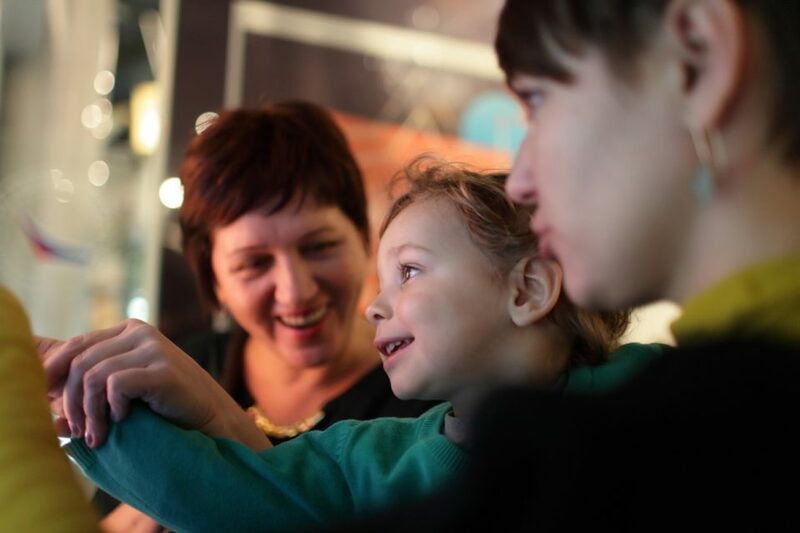 Your kids will love every minute at the science museum. You’ll be the parent of the year for taking them there, and that means you deserve a reward. How about a new car, truck, or SUV from Berglund Automotive in Roanoke, Virginia? It’ll be the perfect reward for all your hard work, and it’ll make all those trips to the museum much more fun.